Entrepreneurs have completing redefined the ways to get things done. With slick mobile apps, startups backed by big capital, they are selling the same old services, but now in a new regime. 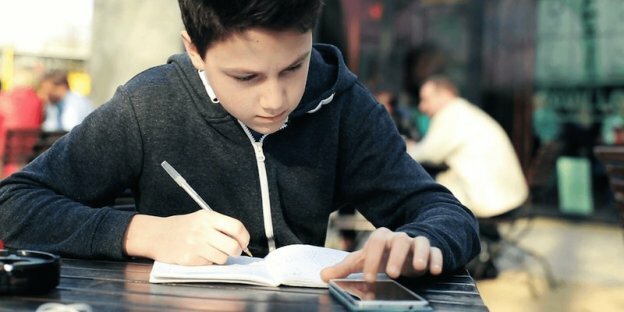 By creating Uber for trucking, Uber for food delivery, Uber for laundry, and now it seems that with Uber for Tutors, the Entrepreneurs are about to disrupt the education industry. 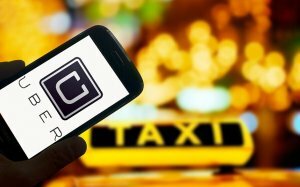 In fact, the Uber for X has already innovated quite a few markets, and most companies that offer on demand services like Uber usually comment – Yes, It’s exactly like Uber, but for the (their respective service). What they do is simple. They just create a technological platform with mobile first approach, and provide on demand services to hungry markets in a simpler way. In fact, it has been done for industries such as getting clothes washed, to get your dog walked, to get their packed delivered, and so on. When we talk about on demand market, we’re referring to the industries that haven’t seen innovation for a while. Moreover, these on demand apps are mainly aimed at the millennial generation. Bright and intelligent graduates have figured out that there is no need to own anything at all. Instead, just by identifying the supply and matching it with demand is what tutors on demand services startups thrive onto. So, what about the education industry? Is There Really a Demand For Uber For Tutors? You can say, the education industry is also stagnant. And, by stagnant we mean that the industry that hasn’t seen any innovation in terms of business model. Sure, there are different institutions such as public, private, coaching classes in private facilities, and tutors that come to your house and change by season or monthly. But, still, don’t you think something is missing here? Probably a way for students to get in touch with specific subject experts to learn a specific theory? Yes, we’re talking about cloning the Uber business model. Though, when we say cloning, we doesn’t mean that you copy the entire Uber business model. What we mean is you can create your own Uber like app for education industry. In fact, education is also a key industry as every millennial seek to learn new things, acquire new skills, become an expert in their favourite subjects to create a better career. Tutoring, on the other hand, stands clear between traditional methods to the systemic approaches institutes follow. Furthermore, people always connect with different coaching classes such as learning new language, or becoming good at playing music instruments, learning advanced mathematics, etc. by paying them huge amount of money. But, with an On-demand Tutor app, people won’t need to pay for the complete course. Instead, they can just find appropriate tutor, connect with him/her, set up the learning session, and pay directly. In fact, it is also an immensely profitable profession for tutors as well. This is especially suitable since the revenue for tutoring is surging with hourly rates by the year. How Uber For Tutors Work? Similar to most Uber for X on demand services, an app like Uber for tutoring, students can create a request, and tutors can look for these requests in their feed. Additionally, the student can also send requests directly to a tutor privately. The tutors can look for such requests, accept the request, have chat with the student to set up a meeting time, and location to hold the session for local tutoring. As simple as that. Furthermore, you can also offer options such as joining existing sessions or create a request for sessions to be held on a particular subject. Once, such requests are accepted, the place can be fixed and session can be in full swing. This is a system that needs to work closely with individuals. However, this was a simple model, which you can consider while developing an app like Uber for tutors, but there is a lot to innovate in the On-demand tutoring apps. Quite a few entrepreneurs have turned their eyes on this and it’s a noteworthy industry to be entered in. Despite the approaches other Entrepreneurs are using, app similar to Uber for tutors can be about creating student-tutor communities for the collaborative learning. 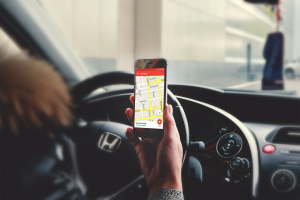 In case, if you still have any query or confusion regarding how much does it cost to develop an app like Uber for tutors, then you can get in touch with us through our contact us form. One of our sales representatives will revert to you within 48 hours. The consultation is absolutely free of cost. This page was last edited on February 12th, 2019, at 7:24. Do You Have an Idea For Uber For Tutors App To Disrupt Education Industry? WE CAN HELP! There’s https://www.mathsomania.com/ working in the same domain. They have got the MathsoMania Tutor App and the MathsoMania Parents App to track home tuition performance on a real time.